The Alila Soori project near Tanah Lot temple in Bali has had its challenges during development. Issues over land use (an opaque and intentionally obfuscating area of local law), and permitting (more opaque and more obfuscatory), had become a thorn in the side of the Alila development team. Well, breathe a sigh of relief. Alila is now emitting press releases heralding the imminent opening of Alila Soori, after many bumps in the road. 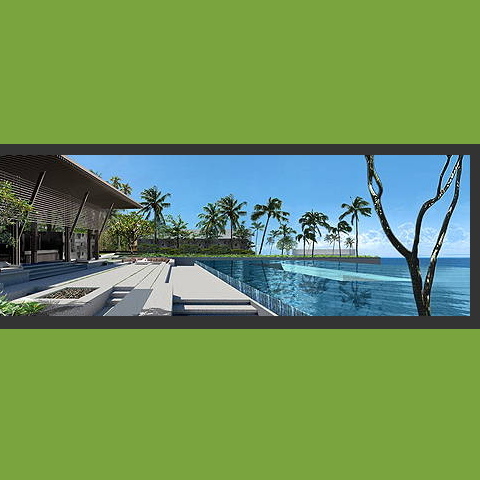 Known for it’s high quality, regionally appropriate and stylish properties around Southeast Asia, it seems a shame that Alila was given such a runaround on this development in Bali. While, at the same time, many horrendously mismanaged and ill-conceived developments of every stripe and type have plowed ahead unchecked. I for one, welcome a reasonably sensitive, reasonably sustainable, and high quality new arrival like the Alila Soori in the Canggu-Seseh-Tanah Lot area. Now if only there were ways to rein in the more rapacious, quick-cash, destructive development elements at work all over the island. Sometimes Bali seems like a drunk adolescent girl let loose at Lollapalooza. She has no idea which guys to give her time to, and which to brush off. And it’s likely that some of the worst will be taking some of the best of her, on the spot. She doesn’t know her own value and is drunk on attention. Well, Bali really does need to outgrow its adolescence (or get a good chaperone). Suitors of the calibre of Alila are ones she should at the very least exchange numbers with and get to know better, while most of the others comers should get the cold shoulder (or a knee to the groin). P.S. Alila has tactfully and wisely changed the name of this development from Alila Tanah Lot to Alila Soori. Some readers will understand the significance of this. Others, feel free to ask, and I can explain. Probably one of the best villas for large events in Tabanan.